81 Lukie Points will be rewarded to you when you buy this. 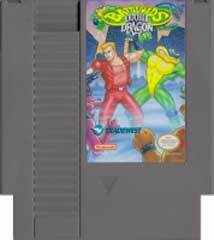 BattleToads/Double Dragon original NES Nintendo Game cartridge only - Cleaned Tested and Guaranteed to Work! 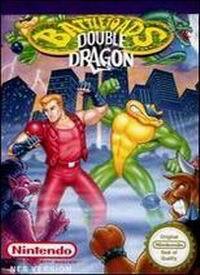 I loved the original battletoads so much (yes it is overrated) that I really wanted to try this one out. 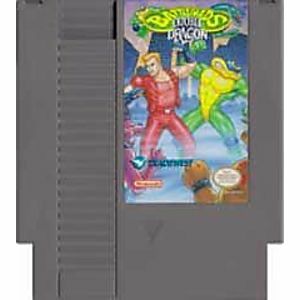 This one is the only other Battletoads games on nes and unlike the first one this one is playable with two players and its so much fun with two players (hallelujah you can turn off friendly fire with "Game B") This game is cheaper on Sega Genesis and Super Nintendo but the main reason to get it on nes is because I like the more basic 8-bit graphics and sound, and its nice having all battletoads games on one console besides I really just hate how they look on the 16 bit consoles. To me battle toads look just so amazing in 8 bit graphics. Its expensive but if you really just can't get enough battletoads freakin get it! it's so worth it!